One final hurrah to one incredible summer of racing. Join the crowds to cheer on racing's athletes as they vye for Auckland Cup Week's namesake silverware and their place in the history books. Featuring the Group I $500,000 Barfoot & Thompson Auckland Cup, plus a host of other races & entertainment in support, Barfoot & Thompson Auckland Cup Day delivers a buzz like nothing else. The greatest end-of-summer celebration, get your social life on track and come get swept up in an air of excitement as the drama of racing & fashion unfold before your eyes. Add to this good people, chic marquees, delicious food, the hunt for a winner, singing of the national anthem, plus a gorgeous March day and you've got a buzz like nowhere else. Positioned on the prestigious Champagne Lawn, adjacent to the Members' Reserved Entrance and immediately beside and overlooking the racetrack, join a limited number of discerning groups in your own exclusive marquee for the ultimate in corporate hosting. *minimum numbers are required for this hospitality option to proceed. Should minimum numbers not be met a full refund will be provided. 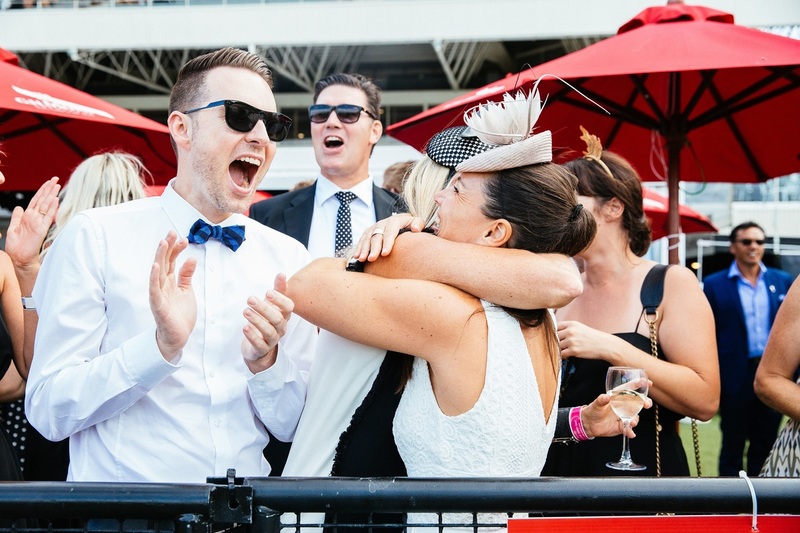 As we typically only open shared hospitality options on our bigger racedays, we suggest guests to rise to the occasion and take advantage of the opportunity a day at the races presents whereby it's completely acceptable to really dress up!